Mercury retrograde in Capricorn is happening on January 05, 2016. Are you ready to get benefited? Or do you want to prepare yourself for this? Whatever is going on in your mind, get answers in this article for your zodiac sign. 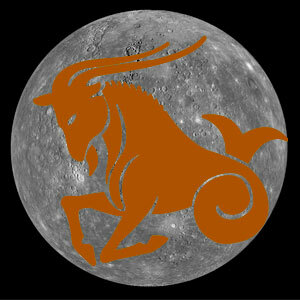 Mercury is residing in Capricorn from December 26, 2015. During this retrograde movement, Mercury will take transit in Sagittarius on January 14, 2016 and will direct on January 26, 2016. Generally, when a planet retrogrades its effects also become opposite. This means that while being direct, where it produces auspicious effects they will turn into in-auspicious and inauspicious results will turn into auspicious. Risk of worsening relations will rise with father and higher officials, so speak carefully. You may also experience reduction in domestic happiness and differences will be there with near and dear ones. There are chances of reduction in fame and reputation. Your interest in religion will decrease and atheism may dominate. Support of luck will decrease a lot, so don’t do anything that depends on luck. Income is also likely to decrease. Expenses are likely to occur due to some health issue. This change will bring an increase in physical pleasures. Although you may experience some difficulty due to void of ideas but, time is extremely favorable for your health. You will get relief from any long going problem but, take care of your speech. Retrogradation of Mercury is not at all suitable for your work and business, either disputes are possible with partners or losses may occur in partnership. Ideological differences are possible with life-partner and tensions are possible in love relationships. Health related problems will come to an end, and you will also get a relief from enemies. If any long-going dispute is there, it will also come to an end. Some fruitless journeys are possible. You will get relief from debt but, the possibilities of a new debt can also not be ruled out. This change is not suitable for lovebirds. Those who are preparing for a competitive exam have to try harder. Tensions are also possible from children. Unnecessary expenses are likely to occur and loss of domestic goods is possible. You may also feel reduction in domestic happiness. Health problems of your parents may also come up. Ideological differences are possible with siblings or any close friend due to retrogradation of Mercury. Luck may also not much, so don’t take any financial risk. Journeys will be fruitless and tiring. You will feel difficulty in taking decisions, voice may become contaminated, irritability will grow in nature and you will feel angry unnecessarily. Financial loss is possible and chances of sudden reduction in income are also very high. This time seems to be less favorable for health, any skin related problem is likely to occur. Be very careful regarding your social position and respect. Stay cautious from your colleagues at workplace. Time is also average for domestic pleasures. Journeys will be fruitful, especially work or business related journeys. If any long going dispute is there, it will come to an end. Success will come in educational competitions and you will experience physical pleasures. But, any health issue is possible to your child. Sudden reduction in income is possible due to retrogradation of Mercury. Financial losses are also likely to occur because of any of your wrong decision. You have to try hard for getting success in educational competition because success is doubtful. Pregnant ladies are need to take special care of themselves.